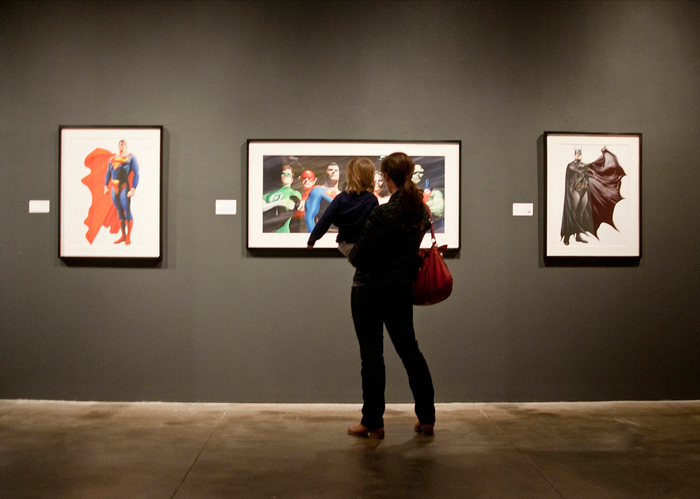 We made it to Pittsburgh over the holidays and caught the Alex Ross "Heroes and Villains" exhibit at the Andy Warhol Museum. It's not often that there's something at an art museum that my 3-year-old son can get really excited about, so this was a rare treat. We must have each walked around the room with him three or four times. I thought the exhibit was extremely well curated by Jesse Kowalski (Director of Exhibitions at The Andy Warhol Museum), with some of Ross's artwork from when he was a kid opening the exhibit, with artwork from his mother who worked as an illustrator for women's magazines, and a separate room showing pop art influences on Ross's work (tying it nicely into the rest of the museum). I was a serious comics nerd in junior high, so this brought back a lot of memories. 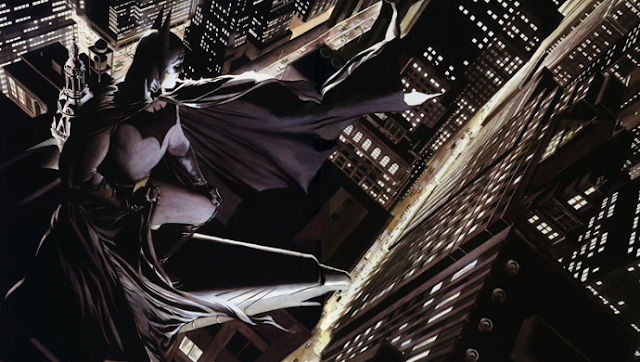 Alex Ross's work and the exhibit texts gave me a new appreciation for the older DC superheroes, which I wrote off as kind of corny when I was younger. 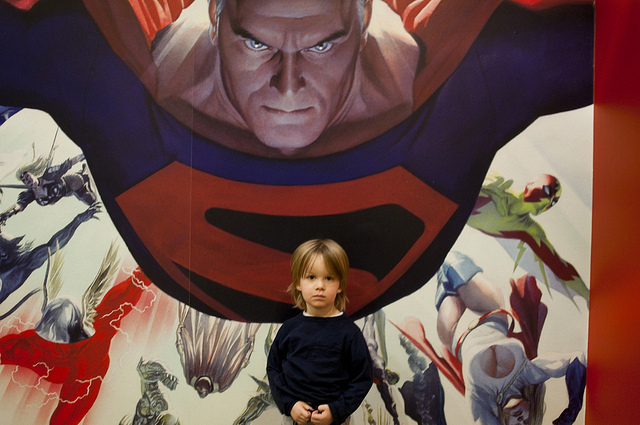 The exhibit only runs through January 8, 2012, so if you're anywhere near the Pittsburgh area with a kid who loves superheroes, it's totally worth a visit.